Go loco with our dentists in Acapulco who offer affordable, high-quality dental care in this action-packed city. Unashamedly carefree and boisterous, the city exudes glamour so why not get the jet-set treatment and book an appointment with one of our quality-checked dentists and transform your smile for a fraction of the price you’d pay at home? Built around the natural beauty of the Bay of Acapulco, the city looks out to the Pacific Ocean over golden beaches, and is surrounded by tropical vegetation and the Sierra Madre del Sur Mountain range. It is one of the oldest coastal tourist destinations in the world, becoming a playground for the international jet-set in the 1950’s and 60’s, attracting world-famous celebrities from film, music and politics, including Elvis Presley, Liz Taylor, Frank Sinatra and John Kennedy. 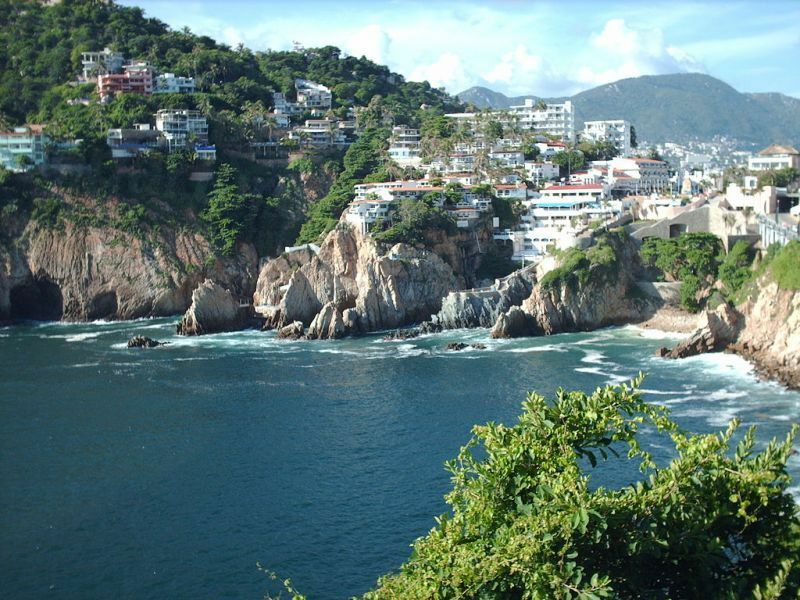 Today, the ‘original’ Acapulco of yesteryear is located at the northern end of the bay. It is known as ‘Nautica’ or ‘Tradicional’ and is where you can find the main square and the boardwalk, with restaurants, discos and modern hotels all within walking distance. The newer, south end includes a lot of glitzy, high-rise hotels which tends to attract international visitors, as well as the Mexican upper class, whereas the old town is mainly exclusively Mexican middle class clientele. Acapulco’s legendary nightlife has consistently been its main appeal, but it really does offer something for everyone. The carnival atmosphere and its tropical good looks are beguiling to most visitors, but families, golfers, water sports enthusiasts and eco-tourists will all find something here to interest them. And then, of course, there is the diverse cuisine to be enjoyed, as well as the exquisite views from the multitude of al-fresco restaurants. Acapulco is experiencing something of a rebirth at the moment, but all the things that originally attracted tourists in the first place are still here. Dental patients looking for reasonably priced care are well catered for with first-class facilities at our quality-checked dentists, and all the tourist amenities and more to take your mind off your dental treaments. 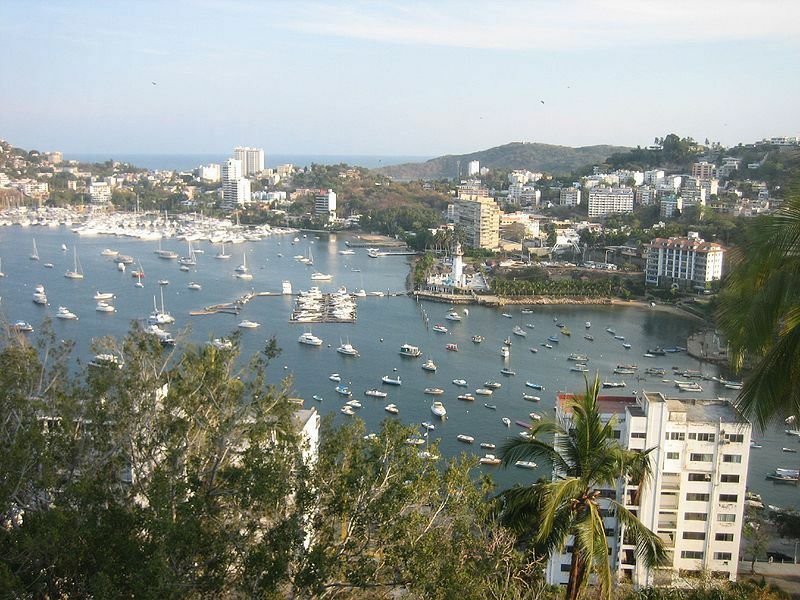 Acapulco is a major sea port on Mexico’s Pacific Coast in the state of Guerrero. It is around 190 miles (300) kilometres southwest from Mexico City. Why visit a dentist in Acapulco? Acapulco’s tourist facilities rival any other popular resort in the world. Beautiful scenery, lovely beaches and stunning ocean views are the jewel in the crown of a city that never sleeps. Our dentists are located in accessible places - so you are never too far away from the action – allowing you to get back to the business of enjoying your holiday in double-quick time. Whatever dental problem you have, we have a wide choice of quality-checked dentists who will be able to put it right. From everyday general dentistry, encompassing tooth fillings and teeth cleaning, to full mouth rehabilitation involving a number of specialties, our dentists in Mexico have the expertise and skills, just like their counterparts north of the Border. • Average cost of dental implant and crown in the US $3,900, in Acapulco $930. There are some excellent accommodation options available in Acapulco, including 5* hotels from around $60 a night located throughout Acapulco’s popular resorts, such as the Playa Revolcadero and Diamante area with its huge tropical lagoon and white sandy beaches. There is no US travel advisory warning for the whole state of Guerrero, although it does state to defer non-essential travel to the northwestern and southern portions of the state, except for Acapulco, Zihuatenejo and Ixtapa. Don’t forget that Acapulco is a city, and we would always advise to be on your guard and to look after your personal belongings and not put yourself in risky situations – just as you should in any city, anywhere in the world. Dental care in Acapulco is certainly as good as the care you would receive at home. In many cases, North American patients often say that it is better. Why is this? In part, it is because dentists in Mexico who treat international patients have to make sure they do a good job. Their business is very much based on trust, and if they do a bad job word soon gets round and it won’t be long before they are out of business. However, as the world is now a much smaller place and it is now the norm for people to travel across continents, excellent medical and dental services are now accessible in other parts of the world. It is now a truly global marketplace, which means competition between clinics to have the best dentists, facilities and prices is fierce, which ultimately is good for consumers. We’re not saying that all dentists in Acapulco or Mexico offer high standards, but you can find a reliable dentist or clinic if you do a little research. This is what Dental Departures set out to achieve – a resource for finding a global dentist where the information was reliable and trustworthy. We use a number of different criteria, which taken together are good indicators which allow our patients to decide for themselves whether a dentist or clinic is right for them. So, our dentists have already cleared criminal records and legal background-checks by us, but we also list their qualifications, have clinic photos, virtual clinic tours and real patient reviews online so you can can get a feel for a particular clinic and ‘look before you book’. All of our dentists provide warranties and guarantees on their work, and on any materials used in, say, dentures or crowns. Regrettably, medical or dental procedures cannot be guaranteed 100%, no matter how careful your doctor may be. Every human body is individual, and every body will react differently. It is uncommon for things to go wrong but if it does Dental Departures will be your advocate in getting your problem put right. For your complete peace of mind we have got together with a number of insurance providers, and for a small cost you can take out insurance which will cover you for any additional accommodation or travel expenses incurred if you do need to travel back to your dentist. No. Acapulco is a major tourist destination and English is spoken widely. Our dental clinics in Acapulco accept US dollars, and other payment methods generally accepted are debit cards, bank transfer and personal/traveler checks. Credit card payments are usually subject to a small processing fee of between 3 and 4%. You can check each clinic’s preferred payment methods on our website. It is unlikely your dentist in Acapulco can bill your insurance provider directly. But, you may be entitled to claim your expenses once you return home if your policy allows for ‘out-of-network’ care. Check with your insurance company before you book, and make sure you receive all the appropriate documentation to bring with you before you travel. Acapulco’s climate is tropical and hot and our dentists are open all year round. There are distinct wet and dry seasons with a risk of tropical storms and hurricanes from May through to November. Many of the newer hotels are wheelchair-friendly and certainly some of the attractions, for example, the Quebrada Cliff divers can be viewed from a terrace at the Hotel El Mirador which has ramp access. Some places are easier to negotiate than others, but if you want to take in the major landmarks of the area there are guided tours which have lifts for wheelchairs which will make it all a little easier. 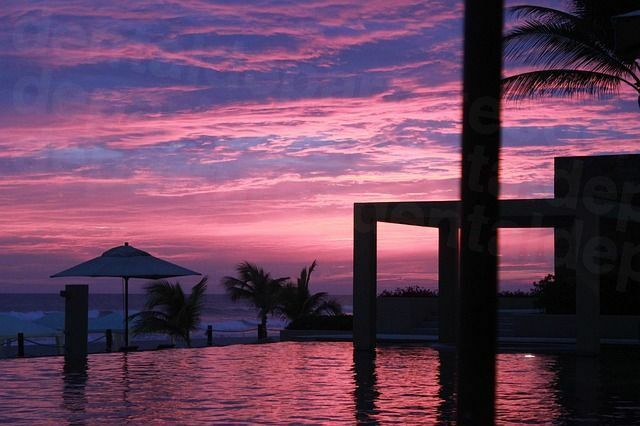 Nightlife and beaches are Acapulco’s main attractions. If you are spending the day at the beach remember to apply sunscreen frequently, and be careful in the water as there are no lifeguards and currents and waves can be dangerous. There are plenty of beaches to choose from but if vendors are annoying to you avoid Caleta Beach in the ‘old’ part of the city and Condesa in the center of Acapulco Bay. Dental patients should be aware that throughout Mexico the preferred method of pain relief is local anesthetic. Sedation dentistry is possible with most of our dentists, but it will have to be arranged in advance as the services of an anesthetist are required. This will cost an additional $400 - $600. Anxiety medication, such as Valium, also needs to be requested in advance. What else is there in Acapulco? 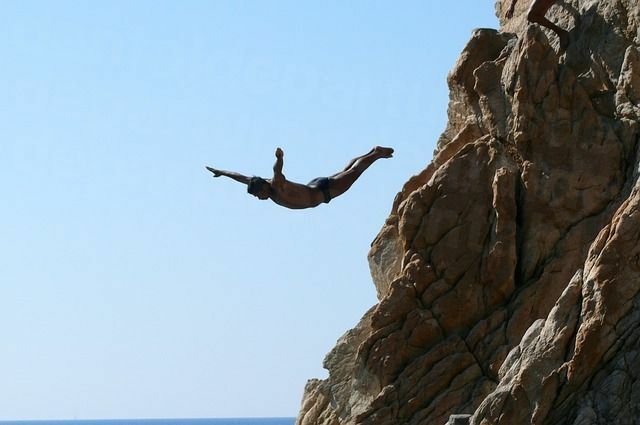 Acapulco’s two magnificent bays – Santa Lucia (Acapulco Bay or Bahia de Acapulco), and Puerto Marques – are host to all manner of outdoor activities from sun worshipping to the unmissable spectacle of La Quebrada cliff divers. Since the 1930s these daredevil divers have plunged over 130 feet from the rocky cliff tops into only 11 feet of sea water below. There are usually five showings a day, including evening shows where the divers carry torches, and is one of the must see sights of Acapulco. Although Acapulco became a worldwide tourist destination in the 1950s, it has been historically prominent for centuries, especially as a strategic location for seafarers and traders between Europe, Asia and the Americas. El Fuerte de San Diego, built in 1616, overlooks the harbor and is a classic five-winged fortress surrounded by a moat. It contains a fascinating museum, which is open Tuesday to Sunday from 10am to 6 pm. Dating back even further than the Fort is the Palma Sola archaeological site, located within the El Veladero national park, some 6 kilometers northeast of Old Acapulco. It features rock carvings and petroglyphs made by Acapulco’s earliest known inhabitants, the Yopes, around two thousand years ago. The site offers a great way to see the natural area around the city, as well as stunning views of Acapulco and the bay. From Playa Caleta you can take a glass-bottomed boat tour to the island ecological reserve, Isla La Roqueta. As well as observing the sea life and a submerged statue of the Virgin of Guadalupe on the way to the island, once you get there you will be able to relax on the island’s beautiful beach and sample some seafood. If you’re feeling energetic, a hike up the hill to the lighthouse affords fantastic views. If shopping is your thing, the whole spectrum from open air markets to luxury malls can all be found in Acapulco. High-end malls include Plaza Bahia, Plaza Marbella, Plaza Condesa, Gran Plaza and La Isla Shopping Village. Open-air markets such as the El Parazal Arts and Crafts Market are good for traditional items and handicrafts, including hand embroidery, silver jewelry and hammocks – and don’t forget to bargain hard! Despite Acapulco being a modern city, traditions are kept alive in the old town. Every night, the Zocalo is buzzing with mariachis and street performers. People flock to the sidewalk cafes and on Sunday nights it is particularly busy, thronged with multiple generations of Mexican families taking in the evening air and entertainment. It is a pleasant area to wine and dine in after a day’s sightseeing. International flights arrive at the Juan N Alvarez International Airport, and Acapulco is a major port for cruise ships. There are a number of buses and taxi services to get around the city. The government subsidized ‘Colectivo’ cab system is the cheapest, but isn’t private. The driver picks up more passengers as long as there is room and drops them at their destination on a first-come, first-served basis. Private hire taxis are plentiful but be sure to negotiate your fare in advance. Book an appointment online or call us toll-free. With Dental Departures you get dentists in Acapulco who are quality checked, as well as the best prices. Book an appointment with us in complete confidence.